Teachers and researchers sometimes refer to the loss of intellectual skills during the summer as “brain drain.” During the summer, kids often spend little time reinforcing academic learning or they are just inactive playing video games or watching tv. Did you know that keeping kids active in programs like Martial Arts classes and camps can actually improve their ability to do well when returning to school? Studies in Baltimore and Atlanta show that when skills are not used or reinforced they initially begin to decay at a rapid rate, but eventually slow. Specifically, the tasks that are procedural, take multiple steps, have no performance cues will tend to decay the quickest. This means when kids stop using critical thinking skills those skills will start to deteriorate. One of the great benefits of American Family Martial Arts programs are our Skillz programs. This international evolution of martial arts training targets age specific needs in childlren. Skillz has taken the coolest parts of karate from a variety of styles and combined them into action packed curriculums that help children build skills that can apply into every area of their life. Our students are constantly engaging their decision making and critical thinking skills. Not only do we put them to work physically, but we also work them intellectually each and every class. 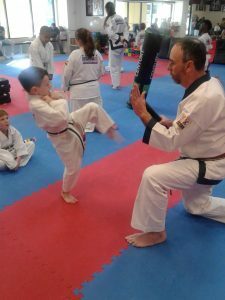 This means that the intellectual skills that they develop in school will actually be reinforced every time they come to a class or camp at American Family Martial Arts! Unfortunately, sometimes these camps and classes are an afterthought. But at American Family Martial Arts summer camps they are not! We balance whole brain learning with games that reinforce learning new things, keeping the brain active and flexible during the summer. And we balance learning with fun. We push them to practice the skill for the day in ways that stretch and exercise the brain via our age specific drills. Each drill we run in a martial arts class is specially designed to challenge their stage of development. Each drill will also focus on implementing the skill in a way that is different or opposite from the drill prior. This makes them practice having more mental flexibility when it comes to applying existing knowledge, as well as, forces them to problem solve on the fly. 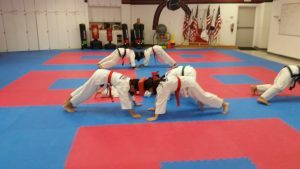 Practicing this during the summer at American Family Martial Arts is a great way to prepare them for the coming school year. During the school year, they will need to be able to pick up new skills and ideas and the more practiced they are at doing so, the better they can perform academically. By keeping the brain active throughout the summer with martial arts helps them to strengthen their retention of academic knowledge. Because of this at American Family Martial Arts we are able to reinforce learning skills, encourage time commitment, and follow through. We are capable of doing all of this in a fun environment all summer long so that we can help each ninja be outstanding when they return to school. Child psychologists state that children who maintain some sense of a structured activity during the summer, like martial arts, do better in the initial months of the new academic school year. 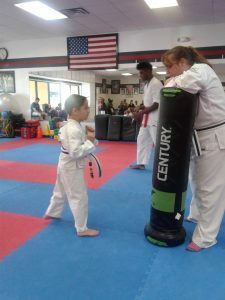 Martial Arts training through the summer reinforces a time commitment, necessity to practice, reminds students to follow through, and gives them the learning environment they need to reinforce the skills they’re learning, which in turn strengthens their retention of academic knowledge. Save your child from the dreaded brain drain and enroll them today in one of our fun and exciting summer camps! CLICK HERE >>> to learn more about each camp! CLICK HERE>>>>to ENROLL in one of fun camps!